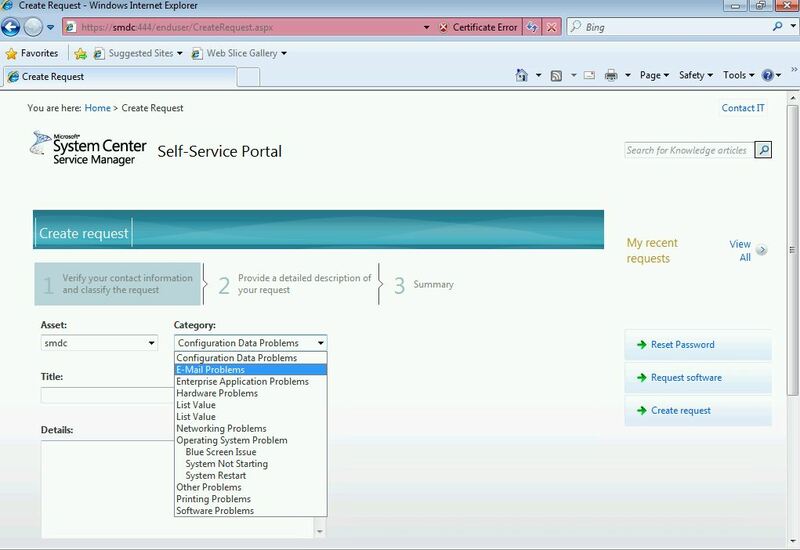 Let us discuss today how we can perform data Retention in System Center Service Manager . 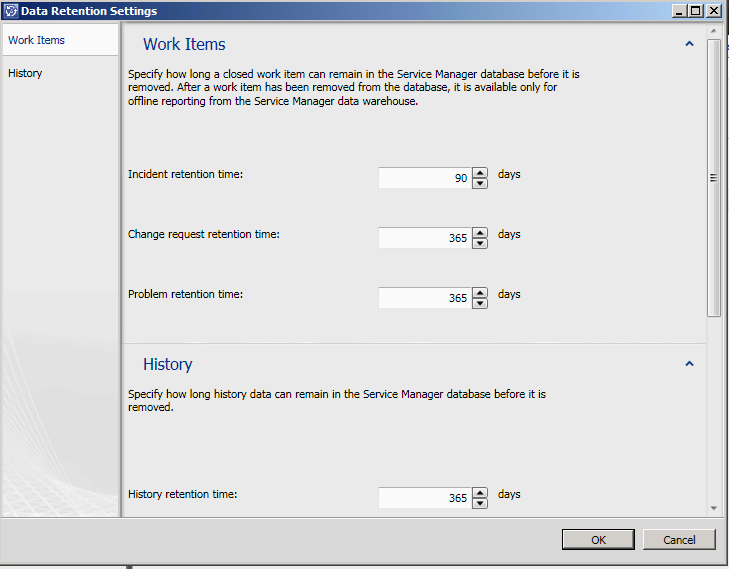 Using Data Retention Feature in SCSM , we can easily define the Data Retention Period in SCSM . It is very important to know that data Retention – automatic can be done for work items only and not for configuration Items . After that go to properties and set the values per your needs . 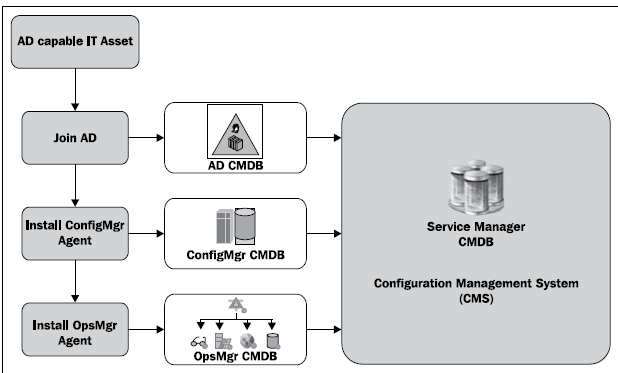 If you are P)planning to Deploy SCSM in your Production environment then it is very important that you plan to install it on four different computers . This arrangement ensures that you get maximum efficiency . Have a look at this figure for best practice . 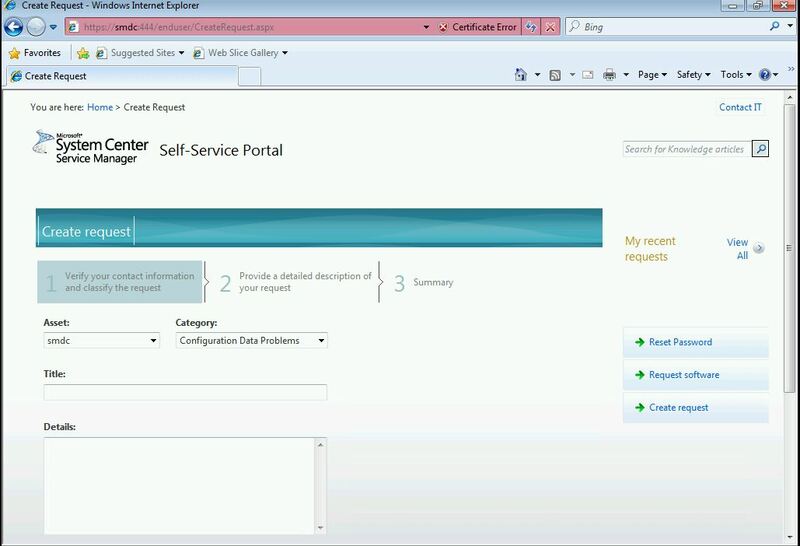 In this Post we will learn the art of Raising and Closing an Incident in SCSM – System Center Service Manager. If you have already added a Template ( Then you can use that template and some of the Information will be auto populated ) . Incident (ITILv2): An event which is not part of the standard operation of a service and which causes or may cause disruption to or a reduction in the quality of services and Customer productivity. 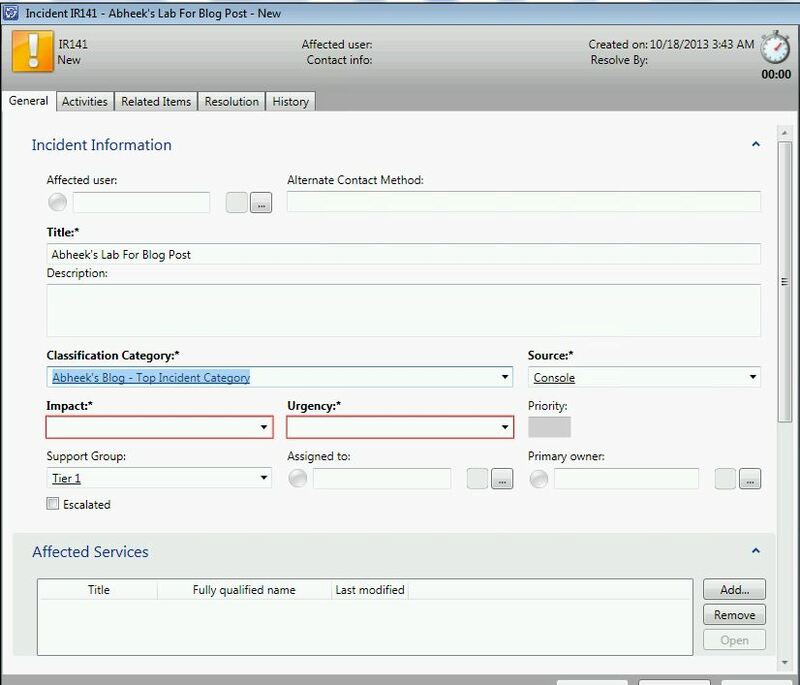 You can create an incident template to populate certain fields for a specified incident type, such as email-related problems. 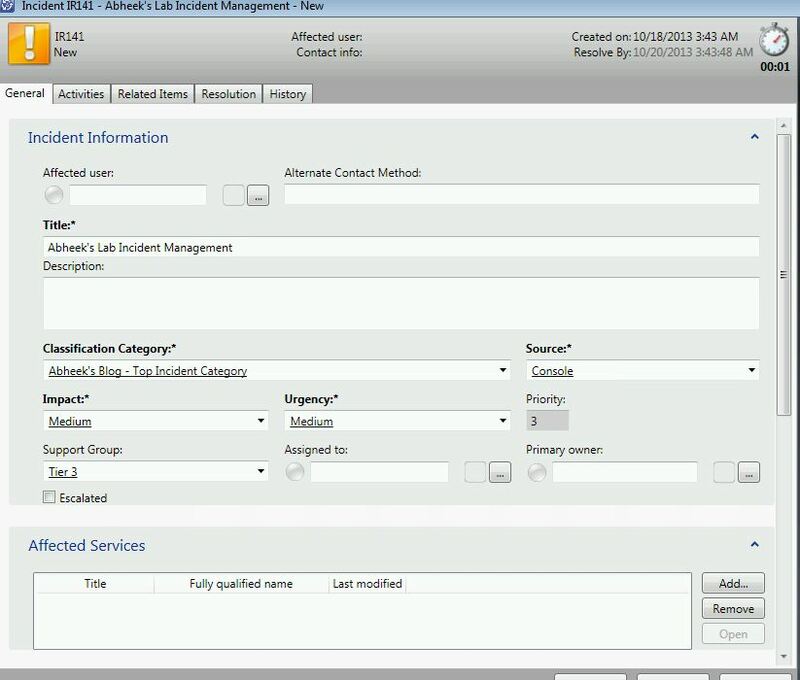 Help desk personnel use templates when creating incidents. The template prepopulates some of the fields in the incident, such as the name of the support analyst who handles email-related problems. 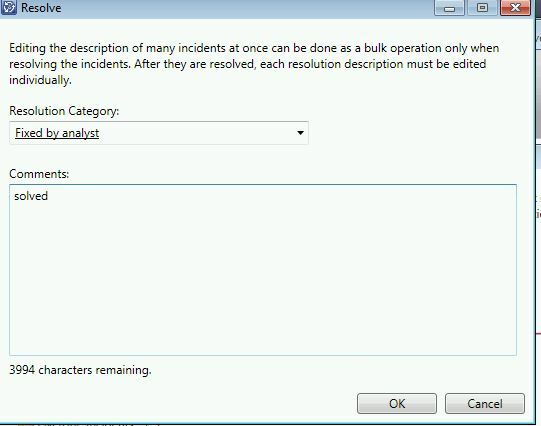 Incident priority calculation is rated on a scale from 1 to 9. A priority of 1 is the highest priority. It is based on a combination of impact and urgency. Impact and urgency settings are defined as High, Medium, or Low, and they are configured when the incident is created. The following table shows how to define the incident priority for each possible combination of impact and urgency. The resolution time defines how much time it should take to resolve an incident. Resolution time is based on priority. Typically, you should set resolution times for higher-priority incidents. The procedures in this section describe how to set the values for file attachments, incident priority, and resolution time. 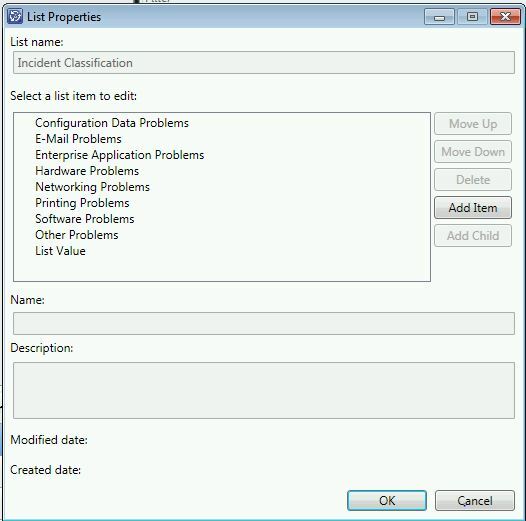 You can use the procedures in this section to create incident templates in System Center 2012 – Service Manager for problems that are, for example, related to email and printers. 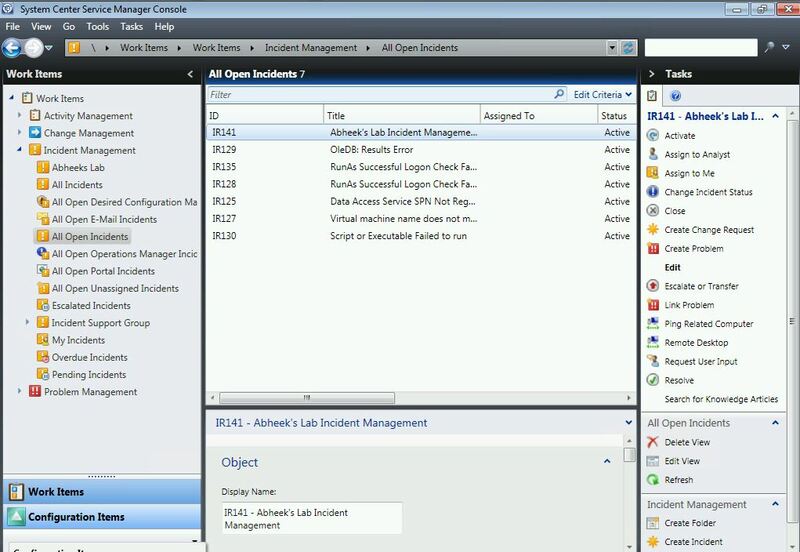 When an analyst at the help desk receives a call, there are many pieces of information that the analyst must gather to create an incident, such as a summary of the problem; the name of the user to whom the incident will be assigned; the impact; the urgency; and whether this is a Tier 1, 2, or 3 incident. For some systems in the enterprise, this information might already be known. For example, if a problem occurs with the e-mail system, the incident is classified as high-impact and high-urgency, handled at a Tier 2 level, and assigned to a specific analyst. 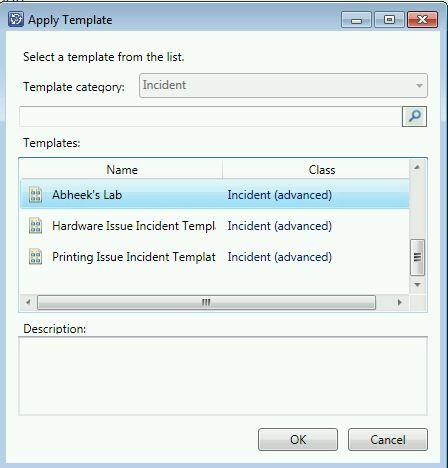 You can create an incident template that, when it is applied to a new incident form, populates many fields in the new incident. This reduces the required time to create an incident, and it ensures accuracy and consistency. Incident templates are also used as part of the Incident Change workflow. For example, your company might have determined that if the urgency of a printer-related problem changes from Low to High, that incident should automatically be elevated to the Tier 2 level. Well !! In this Post we will talk about adding new Incident Category in SCSM . 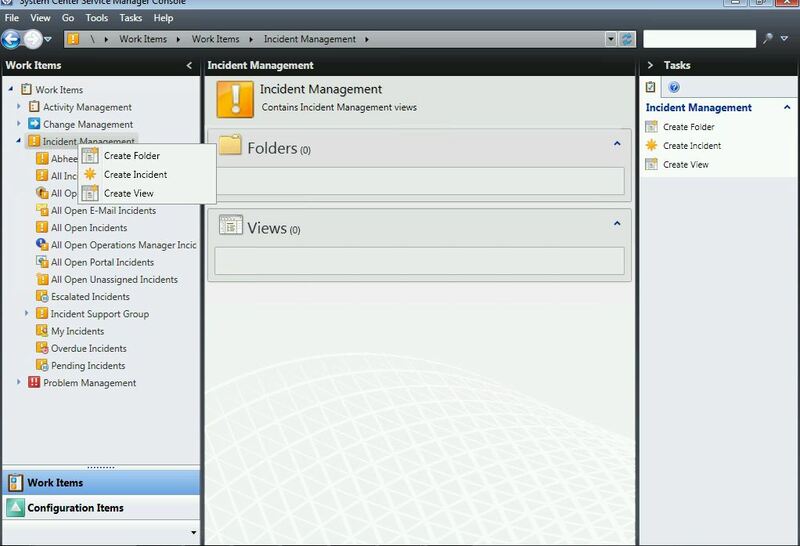 It May be noted that Incident Management / Category is a default Category in SCSM and Cannot be Deleted . 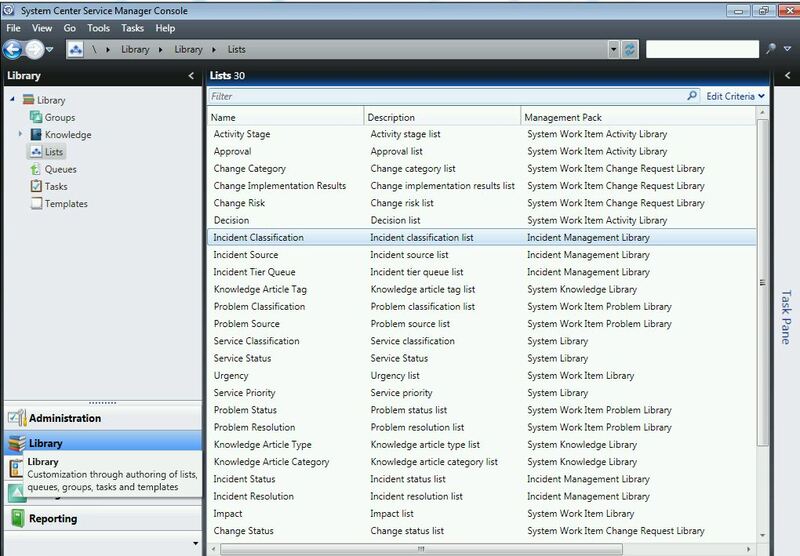 In this exercise we will see step by step as to how to create a new Incident category in SCSM . Double Click the Incident Classification Link . 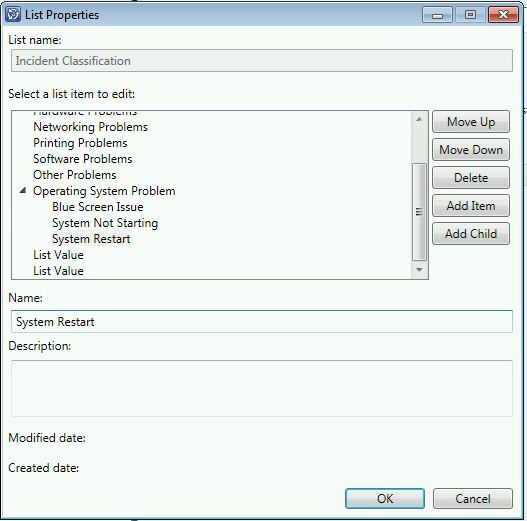 After that , Click on add Item and add a new Item As Operating System Issue . After that Add new Child Item under this as Blue Screen etc . Click ok You will now see that all the items and sub items have been updated in the Incident Classification .